Mornings can be downright rough for some of us, which makes that “snooze” button one of humankind’s greatest inventions. Imagine how it feels for wildlife species that spend winter in the deep slumber of hibernation—or even torpor, a milder version of hibernation—when they get that annual wake-up call from Nature that simply can’t be ignored. They are commanded to wake up, go forth, and do the wild thang on behalf of helping perpetuate their species. Serious stuff! They must quickly go from winter’s death-defying sleep to the high-energy battles, chases, and interactions of procreation. Here’s the scoop on a few species that finesse the tricky transition. 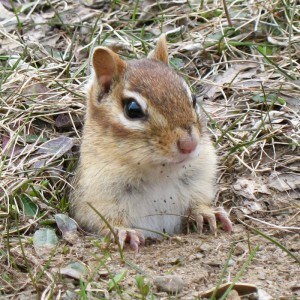 Female chipmunks usually do not emerge until after the males have sorted out who is the big man on campus. Chipmunks are unable to pack on enough fat to survive in a true state of hibernation, so they must gather copious amounts of food through the fall and store it for snacking in intermittent periods of wakefulness. They plug their burrow entrance with soil and vegetation and take to a sleeping chamber lined with grasses, curling up in a ball and fluffing their fur for increased insulation. As they enter torpor their heart rate drops to 4 beats per minute, and their temperature drops to just 1 or 2 degrees above the burrow’s air temperature, saving up to 85% of the energy they would otherwise use. Come late January or February, the males emerge and wrestle with each other for dominance. The females won’t emerge for another few weeks, and by then, the guys will have sorted out who’s who. Making trills as they nudge the girl of their dreams, and wagging their tails up and down, instead of side to side, the males convey their desires, hoping for an inviting response. After a brief “encounter” a chipmunk couple may hang out together for an hour or two, eating and grooming, but that’s the extent of their honeymoon. The female then chases the male off, because it’s time to prepare for the arrival of little ones. She must choose a good site for a burrow, excavate it, and gather soft vegetation to line the nesting chamber for her young, who will arrive in April or May. 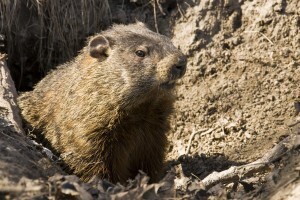 Among the deeper sleepers are woodchucks—AKA groundhogs or whistle pigs. Instead of storing food in their burrow, woodchucks pack on the pounds before heading below ground. They conserve energy by dropping their temperature to 36 degrees Fahrenheit and dropping their heart rate to 10 beats per minute. Still, they will lose about 30% of their weight. By sealing themselves inside their sleeping chamber with soil and vegetation, they can leave the ground-level entrance unaffected, making it less evident that a sleeping woodchuck is inside. They emerge from mid-February onward, tending to emerge later the farther you move north, which synchronizes their emergence with the availability of things to eat. Woodchucks must mate within several weeks of emerging to coincide with the female’s 2-3 week period of fertility. Again, it is the males who get the wake-up call first. They claim hibernacula (sleeping chamber) with sleeping females inside and guard them from other males. Nose-to-nose greetings, chasing, and play wrestling count as courtship. Sometimes an interested female may even approach a male, indicating her intentions with a raised tail. (Ha! There’s the tail again, making a pretty darn important statement!) But regardless of who gets frisky first, the female will chase the male away soon after mating. 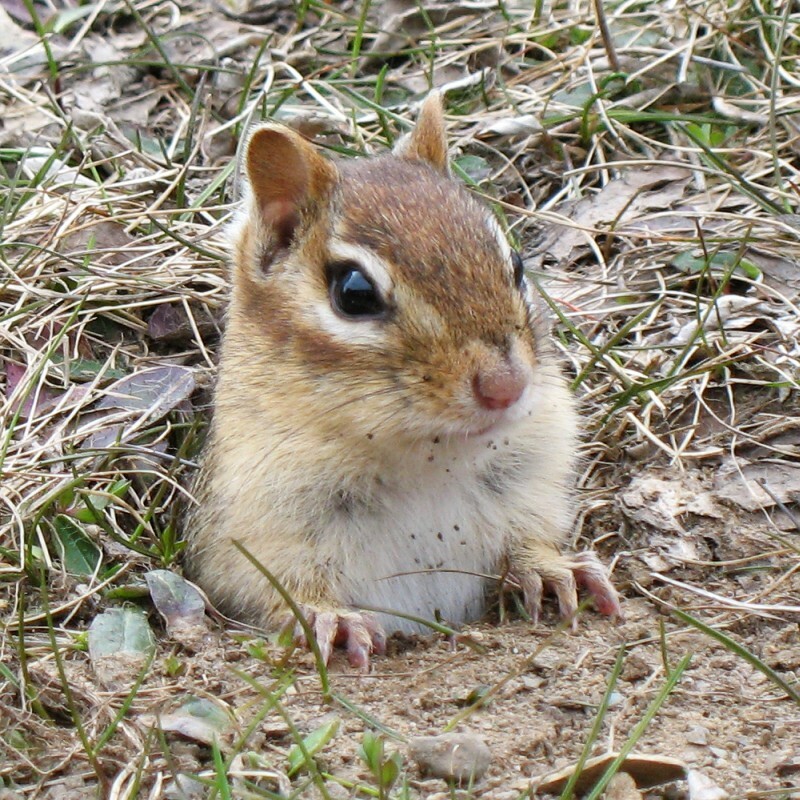 Like the chipmunk mom-to-be, she, too, has a burrow to prepare for her young, who will arrive in about a month. You know winter is over when you hear the chorus of the cricket-like calls of the male spring peeper frogs. 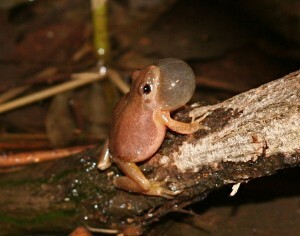 Frogs and other amphibians take to the soft mud at the bottom of ponds before winter to hibernate. 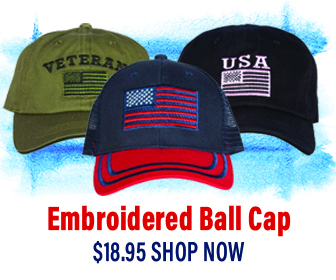 They survive winter’s fierce cold in a kind of suspended animation, protecting their tissues from freezing by creating an anti-freeze-like substance within their bodies. Come early spring, they emerge fully intact and ready to rock. Again the males lead the way, delivering loud overtures en masse to an audience of (they hope) interested females, who miraculously always arrive at the appointed time, ensuring the continuation of the frog’s fascinating life cycle. So, when you’re having a rough morning, remember the heroic feats of the chipmunks, woodchucks, and frogs. Rising from the deepest of slumbers these creatures catapult themselves into action to accomplish—within precise windows of opportunity—the most vital business of life!